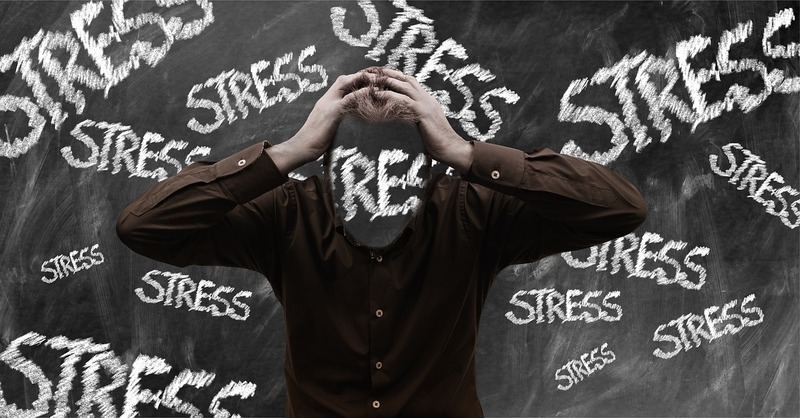 How Stress destroys your health. Your body stores up stress and then makes you sick. Most of us know the effects that stress can have on our mental health but few people notice that the way they feel emotionally is affecting their physical health. We use that same word “feel” for both sensations in the body and emotions we attribute to the mind. This leads to lots of confusion. Your mind, by which most people mean their thinking, is not all that separate from your body. What you think about can take its toll on your physical health. Physical symptoms are often the first indicators of a serious mental illness. It is smart to get your health checked out by a medical doctor. Having physical illnesses that are caused by stress or trauma does not mean you are going crazy and it sure does not mean that your problems are “all in your head.” Your body participates in everything your mind experiences. When we say someone is a pain in the neck, take that literally. That unpleasant experience has caused your neck muscles to tighten. That person who makes you sick to your stomach really is affecting your digestion. So if you have seen a doctor and they can’t find anything medically wrong with you, consider getting some emotional help. Here are some of the physical signs and symptoms that you are under too much stress or that your feelings are signaling your body they need some attention. Can’t eat? Constantly hungry? Changes in appetite that are not connected to physical activity and caloric needs are a common indicator of an emotional crisis. Changes in appetite along with a loss of pleasure are at the top of the list for symptoms of depression. Loss of appetite can signal an anxiety disorder. Relationship issues and all manner of other stresses change your appetite. Sleep, too much or too little is another mental health indicator. Sleep changes are a feature of depression. Low need for sleep or not sleeping at all and having plenty of energy could be signs of Bipolar Disorder. Just because you have not been diagnosed with Bipolar in the past is no reason to ignore this. Many people have had only episodes of depression and the blues before that first big manic break. Aches and pains can be from stress. Stress impacts your nerves and your muscles. One study reported that more than half of those with Fibromyalgia also met criteria for PTSD. Living with lots of stress or trauma extracts a price from your nervous system. Do not wait till your nerves quit to get that stress under control. While thinking things away will not cure physical illnesses alone, what you do about that stress can affect the course of your physical illness. Cravings signal something is going on in your feelings life. Cravings for foods could be a nutritional deficiency but it could also be the warning sign of a depression coming. Craving for behaviors or chemicals are hallmarks of addiction. While most behavioral addictions have not yet made the list of recognized mental illness, counseling is helpful if you find yourself craving things that could be harmful to your health or your life. Loneliness can cause or be caused by emotional issues. Feeling lonely or emotionally needy is a sign that your feelings life is in need of help. You should not hesitate to get assistance for emotional cravings. Loneliness is a recognized cause of relapse for substance use disorders. What is often missed is that feelings of loneliness and neglect can be triggers for mental and emotional disorders. Lowered resistance to colds and flu may have an emotional cause. Depression, Trauma, and stressor-related disorders all lower your resistance to illness. Happy people have more resistance to physical illness and are more resilient to emotional letdowns. If you are having trouble getting over a physical illness, take another look and see if your emotions need mending also. Temperature regulation – sweating could be anxiety or panic disorder. Sweating and poor temperature regulation has been connected to anxiety and stress-related disorders. Learn deep breathing, meditation, and mindfulness. Cut back on the high rumination diet and see if your body does not stop sweating things. Out of willpower – procrastination? Is it caused by stress? Lack of energy, low willpower and a general malaise are all signs of emotional disorders. Depression and anxiety are the chief suspects here but other mental disorder can result in low motivation and a lack of willpower. Irritable – low blood sugar – the two are connected. Low blood sugar makes people more irritable and leads to anger and conflict. The opposite connection can exist. Poor emotional regulation can play having with your efforts to regulate blood sugar and other hormones. Make sure you are taking care of your emotional health and see if that does not help you improve your physical health. Panic happens more often when you are stressed. Panic may be appropriate if they are shooting at you or if the lion is hunting you. Panic in the sense of a sudden mobilization of effort. But if you are having panic attacks on a regular basis, if the setting on your anxiety or panic meter is turned up way to high, your emotions are going to create a lot of physical symptoms that will not respond well to the doctor’s prescription of medication. Is emotional stress having an impact on your physical health? This entry was posted in PTSD & Stress, Stress Reduction and tagged Acute Stress Disorder, Adjustment disorders, Anxiety, physical illnesses caused by emotions, Posttraumatic stress disorders, PTSD, Stress and trauma disorders by David Joel Miller. Bookmark the permalink.